Diode Side-Pump Laser Marking Machine, also called Semi-conductor Laser Marking Machine employs imported semi-conductor module, high-speed optical scanner, Q switch and YAG rod, providing speedy scanning and high precision. Independent self-control cool-water circulating system ensures stable performance and meets requirements on long-time running. 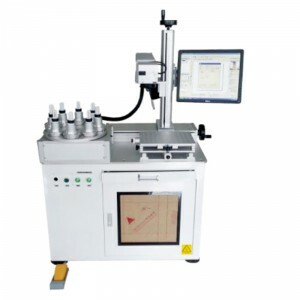 Precision etching and marking on metals and non-metal materials can be realized, marking software with user-friendly interface simplifies operation this product has been widely used in such industries as electronics, waist watches and clocks, eye glasses, automobile parts, metal works, plastic keys, medical apparatuses and communication products. Software support Windows xp/win7 operating system, Chinese interface, multiple languages supported. Support maximum 256layers of color separation in graphics, gray graphics. Self-designed patterns to be pressed, powerful node editing, vectorgraph creating, and curves changed directly in the course of creation. Characters directly input in the software, supporting Trule Type,JSF and DMF, supporting self-created character data base and curve arrangement order. Supporting liner filling and loop filling. Supporting changeable texts. Contents of changeable texts can be determined by multiple forms input via keypad and serial number. Compatible with common graphic formats (bmp, jpg, gif, tga, png, tif etc. )and vector graphs (dxf,dst,plt,etc.). 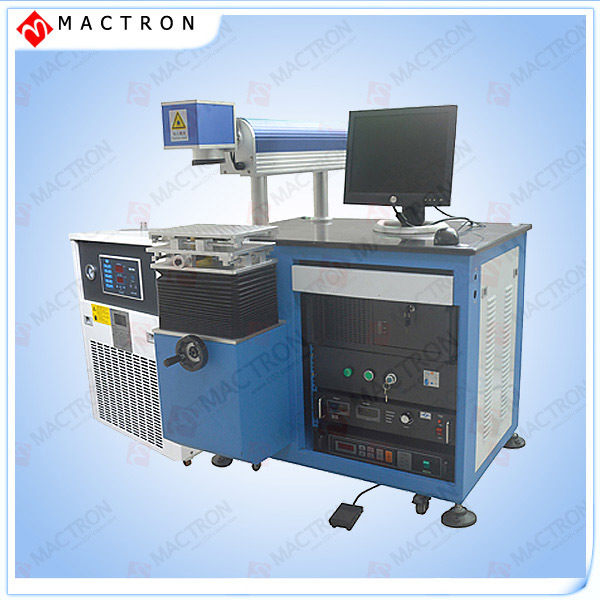 Diode Side Pump Laser Marking Machine Suitable for all kinds of metal materials (including rare metal), electroplating materials, coating materials, spraying materials, plastics, rubber, resin, ceramic and so on. 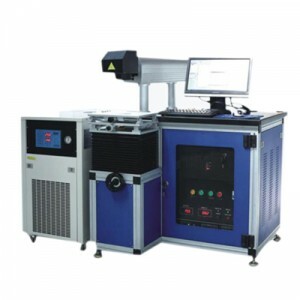 This series laser marking machine widely used in such industries as electronics, instrument, communication apparatus, package ,beverage, battery, sanitary ware, machinery manufacturing, automobile part, jewelry, watch and clock ,medical apparatus, eye glasses and metalwork. 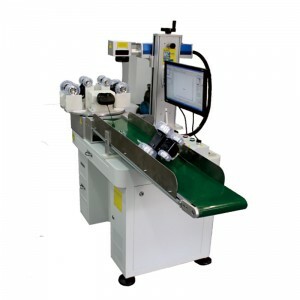 This product can be integrated into the user’s production line to realize online marking.